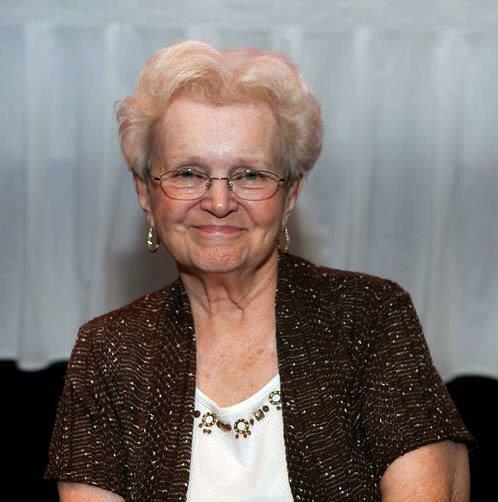 Grace Evelyn Phipps (nee Miles), 88 years old, passed away February 27, 2016. Daughter of Evelyn Lamcha and Auswell Miles (both deceased); beloved wife of Paul Haylett Phipps (deceased); dearest mother of Paula Hrynik (Steve), Sandra “Sam” Lees (David), John (Krista), Rick (Luanne) and Tina Brenenstuhl (Scott); loving grandmother of Tony Lisse (deceased) and Sara Hrynik, Paul and Donald “DJ” Phipps and Kristina and Amanda Pace; great-grandmother of Acacia and Kalli; dear sister of Fred Lamcha (deceased), Hermida Goepfert (deceased), Ray Lamcha and Alfred Lamcha and aunt to many. In lieu of flowers the family suggests donations in Grace’s name to Grace Hospice of Mentor 7314 Industrial Parkway Mentor, Ohio 44060. Funeral service Thursday March 3, 2016 at 11am at the funeral home. The family will received friends at VICCHIARELLI FUNERAL HOME 5252 MAYFIELD RD., LYNDHURST (BETWEEN RICHMOND AND BRAINARD) WEDNESDAY4-7 P.M.